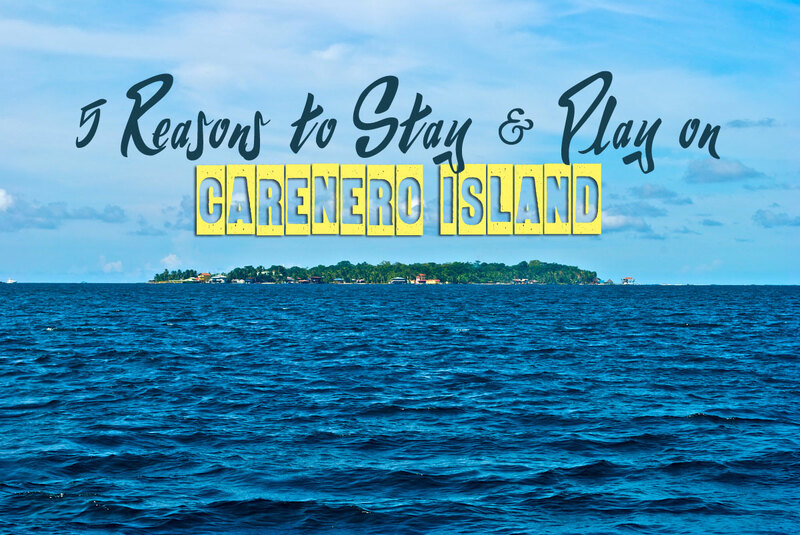 For those interested in a sleepier, more natural island rhythm, Carenero Island is an excellent choice. Most hotels are on the beach or over-the-water. And some of Bocas del Toro’s best seafood restaurants are here as well. Carenero Island is the closest island to Bocas Town. Only a few minutes away by boat, it’s easy to get to, and also fairly small. You can hike around the entire island in about an hour. Separated by a narrow channel from Isla Colon, the main island in the Bocas del Toro archipelago, Carenero island has become a favorite for locals and tourists looking to escape the crowds and noise of Bocas Town. Carenero Island has lots of activities such as surfing, snorkeling, stand up paddeling, kayaking and simply just relaxing on the beaches. If you’re looking for somewhere to stay and play in Bocas del Toro that is close to Bocas Town but still able to experience the tranquil island lifestyle try Carenero Island. Reason #2: Great island for surfing – for beginners and advanced! Reason #3: Far enough to enjoy laid back island lifestyle yet only a few minutes from the center of everything at Bocas Town. Water taxis are always available throughout most of the day. Reason #5: There is so much to do! Try surfing, snorkeling, kayaking, rent a standup paddle, relax on the beaches or go hiking around the island! Hotel Tierra Verde: The Hotel Tierra Verde offers beautiful accommodations tucked back into the Carenero jungle. Gran Kahuna Beach Hostel: Only a two-minute boat ride from Bocas Town, you will find this lovely beachfront hostel, offering shared and private rooms. Shared Rooms starting at $14/ bed & private rooms starting at $55/ night. Careening Cay Resort: The Careening Cay Resort is a series of small bungalows located directly across Bocas Town. Casa Acuario: Located on the south end of Isla Carenero over-the-sea, with fantastic views of neighboring islands and the mountains on the mainland. Aqua Lounge: Experience the beauty that Bocas del Toro has to offer at this hostel, lounge and bar – built entirely over the water! Hotel El Faro del Colibri: Over-the-sea cabins featuring a the lighthouse cabin, small cabins and a restaurant. Bibi’s on the Beach: A variety of fresh seafood prepared with natural local ingredients, a select range of delicious cocktails and an extraordinary natural landscape make up the beauty of the place, highlighting the restaurant as one of Bocas favorites. Cosmic Crab: This over-the-water restaurant boasts exceptional food, delicious exotic frozen drinks, friendly service, and gorgeous sunset views.